Maybe the nomad or wanderer in you is thinking, ‘it’s a dream come true’, but perhaps I’m talking to the homebodies and you’re reaching for the brown paper bag to assist you in breathing. I personally, have found myself walking the tightrope of both feelings. Wherever you find your thoughts, it’s December and I think all parties can agree that no one should be in a hotel for this amount of time, this time of year. Instead, one should be wrapped up in their favorite throw, sitting in their special place on the couch, adjacent to a crackling fire, admiring the twinkling lights on the tree, while watching “Elf” for the fifteenth time. Add some hot cocoa with marshmallows, and a Christmassy candle to that picture and you’ve got the epitome of all my Christmas dreams. Now, in one last effort to honor my 2017 resolutions, I’m still trying to complain less - a resolution I’ve prayed over, and fell short of, countless times and am fully considering adding it to 2018’s list. Anyone else? I believe with all my heart that the best way to change my perspective on anything is to thank God for it. I also believe with all my heart that God has me exactly where He wants me. If I’m living grateful, listening carefully, with a heart of teachability, contentment is certain. And where there is contentment, there is joy. ‘Tis the season, right? I may have planned differently for this December, but life is filled with changed plans, unpredictable circumstances, and creative challenges. Being a self-proclaimed ‘Miss Christmas’, this has been quite the undertaking. On the other hand, being a self-proclaimed ‘Miss Christmas’, nothing is going to stop me from adding a little sparkle and twinkle with a dash of comfort to our temporary hotel home. If you find yourself at any point in the same scenario, which I gather you might if you’re in any way affiliated with the military, I hope these budget-savvy tips bring you a heart of contentment and hope, no matter the season. 5 Tips to Love Your Temporary Lodging. #1 - Take a trip to your nearby Dollar Store and find some ways to spruce up your room. Since it’s December, I nabbed this tree and a pack of tiny gift bows for a star. If you find yourself in any other time of the year, I highly recommend a vase and some faux flowers, they’ll go a long way! Flowers (real or fake) have a natural beauty about them to brighten up any space and any heart. Also, at your nearby Dollar Store, you’ll find wine glasses! I surprised the hubby with these green ones (for a festive flare) and his favorite bottle of wine to sip on before date night! You’re officially excused from pouring a good glass of wine into those flimsy, plastic hotel cups. You need a real clink to “cheers”. If you'd like to add some twinkle (good for any time of the year), get similar fairy lights here! #2 - Nothing says comfort or cozy more than a candle. Keep your eye out for a good sale. I am a candle girl year-round, but I recently was so excited to see Bath & Body Works release my favorite Winter scent in their single-wick line. Normally, I’m all about the three-wicks but they are extremely powerful and made for larger spaces. Fresh Balsam is easily my favorite, with a soft, piney-fresh scent and was on sale for $5! 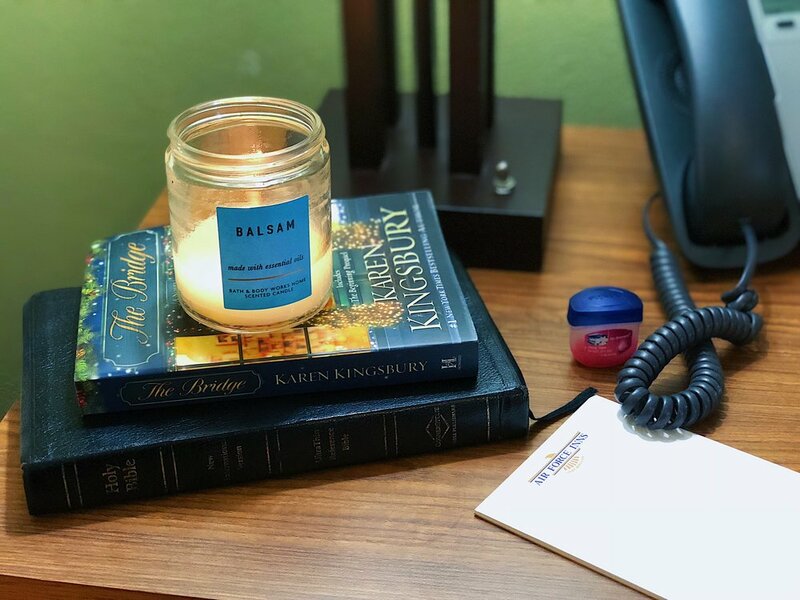 It’s the perfect size to add just the right amount of fragrance and flicker that our room needed! #3 - Collect a couple of mugs to add a little excitement to your morning brew. Again, the idea here is to add a touch of you in a space that is not yours. A huge part of my coffee drinking obsession is what mug I choose to drink it out of. It’s comforting to use good quality mugs, that you love, for your hot drinks instead of the dull, paper cups that remind you exactly where you are. #4 - Peruse through Pinterest to find some healthy alternatives to eating out or ordering in. It’s natural to feel on vacation when in a hotel. But in my opinion, calories don’t count on vacation and a little more is budgeted for eating out, this can be a huge pitfall when staying long-term in a hotel. 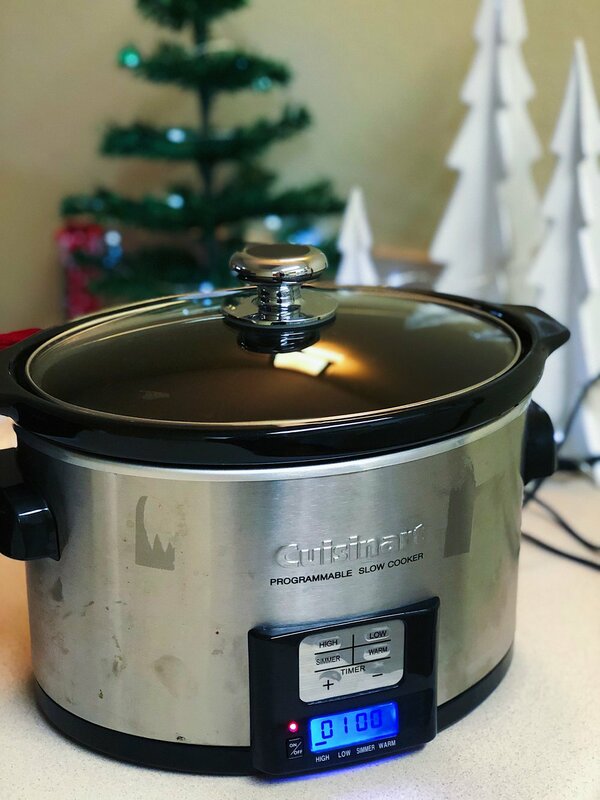 Work with the kitchen space you have, be strategic with your grocery shopping, and if you can, get that crockpot and plug-in grill out of storage and whip something up! It’s not hard, and a meal made by your own hands is both healthier and homey! Start with this Slow Cooker Broccoli Cheese Soup! It's delicious! 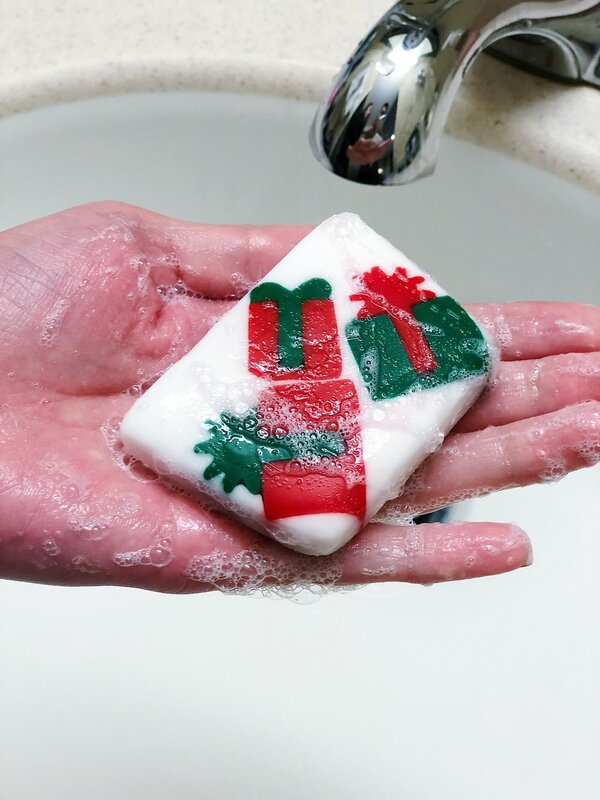 #5 - Ditch the hotel soap and swap it out for festive favorites! Another easy way to make the space your own is by picking up some soaps that make your skin, nose, and heart happy. I don’t know why, but hotel soap seems to always leave a sticky film on my skin and dry it out like crazy! Not only does having better soap help comfort me, but it adds a bubbly splash of décor! It doesn’t take much to cultivate a little contentment when you remember to give thanks and take some pride in caring for the space and place you’re in. Get a little creative, add a touch of you, and watch how the complaints are no longer a New Year’s Resolution! If I missed anything, comment below! I'm still here, and there's always room for more! Bonus Tip: If it snows in San Antonio, GET OUT and build a snowman, before the sun starts shining again!